Dear brothers and sisters in Christ, on this day we commemorate together the Feast of the Chair of St. Peter the Apostle, one of the celebrations commemorating the leader of Christ’s Apostles and His vicar on earth, besides that of the Solemnity of St. Peter and St. Paul in the month of June. On this day, we are focusing on the Chair or indeed, better known as the Cathedra of St. Peter, the first Bishop of Rome and Pope. Some of us might be wondering, why is it that we celebrate the feast of a chair, even if it is the Chair of St. Peter himself as the Vicar of Christ. That is because we must understand the importance of chair in the historical context of the Church. A chair is historically related as the symbol of power and authority, much as thrones are for kings and rulers. When a king or ruler is enthroned, he or she symbolically receives the power and authority to reign over his or her kingdom. Similarly therefore, the chair for the bishops of the Church symbolises their authority, the authority to teach the Gospels and the truth of God to the people, as well as their administrative and spiritual authority over the flock and the people entrusted under his care. And throughout the dioceses in the world, there is a particular chair in each of the dioceses, in a particular church, named the cathedra as mentioned, as the seat of the bishop’s authority, and the churches with the cathedra are called cathedrals. There is in fact an actual physical cathedra belonging to St. Peter in the Vatican, at St. Peter’s Basilica, where the chair that is supposed to be St. Peter’s actual chair of teaching is placed in the most prominent place above the high altar on the eastern end of the Basilica, underneath the famous and magnificent dove imagery representing the Holy Spirit. This signifies the authority of the Pope as the successors of St. Peter as the Bishop of Rome and as leader of the entire universal Church, under the guidance of the Holy Spirit. Brothers and sisters in Christ, nonetheless, the celebration today is much more than just the celebration of a physical and actual chair possessed by St. Peter at the Basilica of St. Peter in Vatican. In fact, this celebration is more about the authority which the Lord Himself has delegated to His vicar, St. Peter as well as to his successors as Bishop of Rome and Pope, in leading all the faithful people of God, His flock and faithful ones. But if we imagine that St. Peter is someone who was amazing and great, glorious and mighty, then we ought to remember that he was once a mere poor fisherman trying out his best to make a living by fishing in the lake of Gennesaret or Galilee. It was as a poor, illiterate fisherman that the Lord Jesus encountered him and his brother, St. Andrew the Apostle. And many other Apostles and disciples of the Lord also came from humble and unremarkable origins. Yet, the Lord chose them and called them to follow Him, and for some among them, He entrusted them to become the most important among all of His disciples as the Apostles because they had qualities in them which the Lord discovered, and which He deemed to be worthy. It was not us who make ourselves worthy, but God who makes those whom He called to be worthy. And the tasks He entrusted to the Apostles were not easy ones, as challenges and difficulties were abound. They had to face persecutions and oppressions from various sources, from those who were against the Church, the teachings of the Lord and against whatever good works that they had done among the people. They had to endure prison, arrests and torture, sufferings and rejections from time to time. St. Peter himself had to endure the same difficulties, as he travelled from place to place establishing the foundations of the Church in those places. When he was in Rome, Christians there were persecuted heavily at the reign of the Emperor Nero, and together with St. Paul, St. Peter himself was martyred during the reign of that Emperor. He suffered with his flock and remained true to his calling as a shepherd of the Lord. 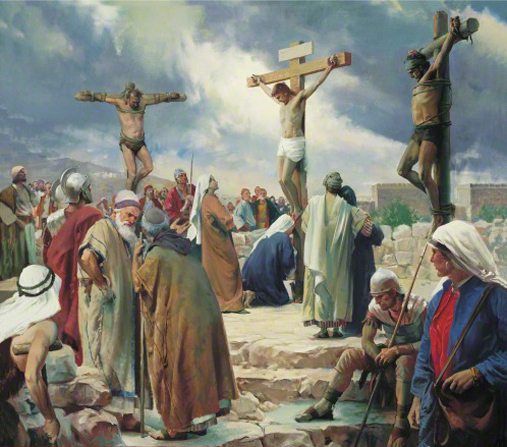 He remained committed to the end, and humbly even requesting the Romans who were about to crucify him to put him on the cross upside down, as he felt it was not right for him to be crucified and died in the same manner and way as his Lord and Master. Through all of these examples, St. Peter had shown us how he is truly a devout and hardworking servant of God, who places his responsibility to the Lord above everything else. Brothers and sisters in Christ, let us all remember all the things that the Apostles had done, especially St. Peter in all the works he had done. Through him, the Lord had established His Church in this world, built upon the strong foundation of faith which he had, and upon the faith and commitment of the Apostles. But their hard works were not yet complete, and there are still many things that we can do in this world, fulfilling the vocation to which we have been called to. Each and every one of us as Christians ought to follow the examples of our holy predecessors. 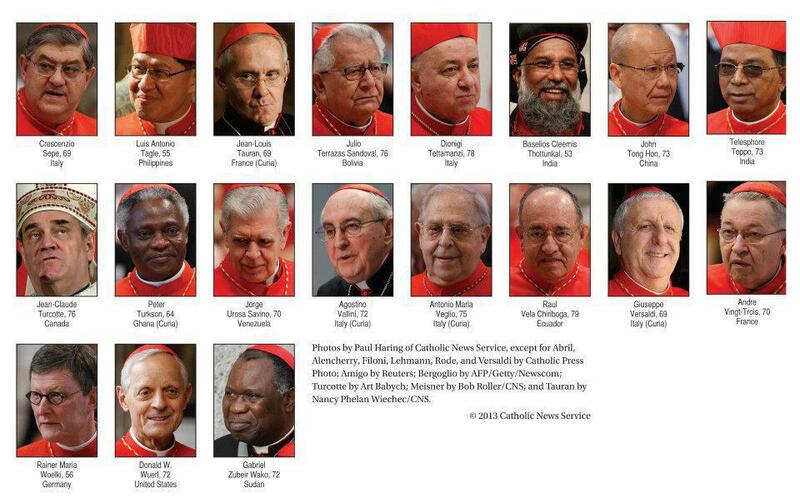 And as we are all part of the one Church of God, which is the same Church that He established upon the foundation of His Apostles, especially St. Peter the Apostle, let us all do our respective parts, in order to work together as one Church, under the authority of the successors of the Apostles, the bishops, who themselves are united to the successor of St. Peter, our Pope, the leader of the Universal Church. May the Lord be with us all, and may He bless the Church He has built, so that we may always stay together and remain strong in our faith and in our dedication to serve the Lord, and preach more and more of the Good News to the people who have not yet heard of it. Let us all deepen our faith and commit ourselves more wholeheartedly to fulfil the mission which the Lord had entrusted to His Church. May the Lord bless us always, now and forevermore. Amen. This entry was posted in Uncategorized and tagged 1st Week of Lent, 22 February 2018, Bishop of Rome, Cathedral of Rome, Cathedral of the Pope, Cathedri Sancti Petri, Catholic blog, Catholic homilies, Catholic wordpress, Chair of St. Peter, Christian sermons, Church blogs, faith blog, Feast of the Chair of St. Peter, First Sunday of Lent, great solemnity, green, Holy Mass, Holy sermon, homily, Homily of the Feast of Chair of St. Peter, Homily of the Mass, Leader of the Church, Lenten Homily, Lenten season, Lenten sermon, Liturgical celebrations, Liturgical Colour, Papal cathedral, Petrine Ministry, Pope Benedict XVI, Pope Francis, Pope St. John Paul II, preaching the faith, preaching the sermon, preparation for Easter, Preparation for Holy Week, priestly homily, priestly sermon, Prince of Apostles, Purple, Quadrigesima, Red, reflecting on the Scriptures, Reflection of the Bible, revelation of truth, Roman Catholic Church, sacred homily, Scripture Reflections, season of Lent, Seat of the Apostles, Sermon of the Feast of Chair of St. Peter, St. Peter the Apostle, Sundays after Epiphany, Sundays of Lent, teachings of the Church, Tempus Quadrigesima, Thursday, understanding the faith, Universal Church, violet, Weekday Homily, Weekday Mass, Weekdays of Lent, white. Bookmark the permalink.